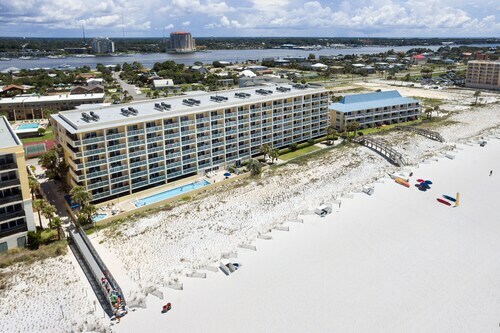 Nestled on the beach, this Fort Walton Beach resort is within a 10-minute walk of Boardwalk on Okaloosa Island and Gulfarium Marine Adventure Park. John Beasley Park and Wild Willy's Adventure Zone are also within 5 minutes. 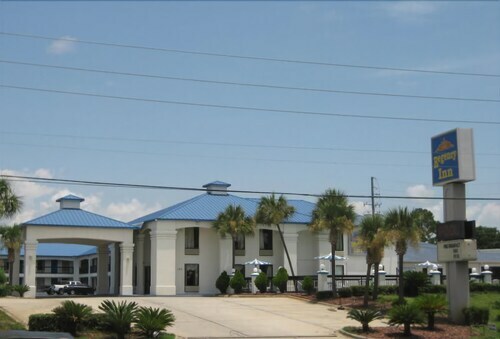 Located in Fort Walton Beach, this beachfront hotel is in the historical district, 1.3 mi (2.1 km) from Emerald Coast Convention Center, and 1.3 mi (2.1 km) from Gulfarium Marine Adventure Park. John Beasley Park and Okaloosa Island Pier are also within 2 mi (3 km). 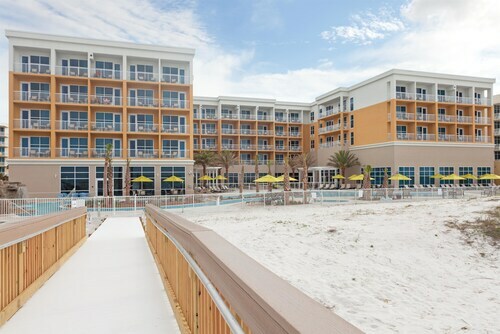 Nestled on the beach, this Fort Walton Beach hotel is within a 15-minute walk of Emerald Coast Convention Center and Gulfarium Marine Adventure Park. John Beasley Park and Okaloosa Island Pier are also within 1 mi (2 km). 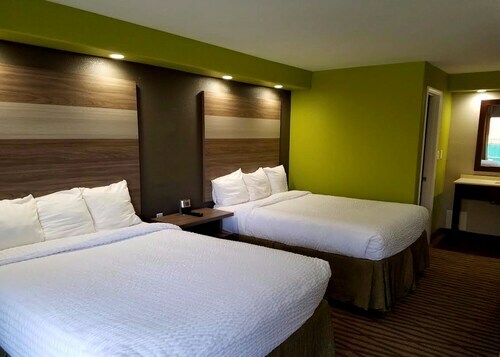 Located in Fort Walton Beach, this beachfront hotel is in a national park and within 1 mi (2 km) of Emerald Coast Convention Center and Gulfarium Marine Adventure Park. Okaloosa Island Pier and Wild Willy's Adventure Zone are also within 1 mi (2 km). 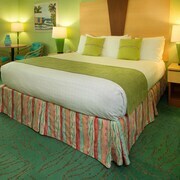 Situated near the beach, this hotel is within a 5-minute walk of Emerald Coast Convention Center and Gulfarium Marine Adventure Park. Okaloosa Island Pier and Wild Willy's Adventure Zone are also within 10 minutes. 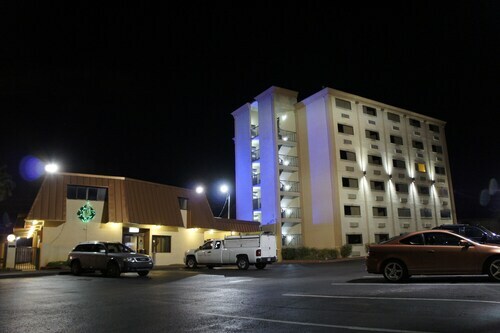 This Fort Walton Beach hotel is located directly on the beach, beside the Gulfarium and the Okaloosa Island Fishing Pier and Within walking distance to a variety of restaurants, night life, the Boardwalk and the Emerald Coast Convention Center. 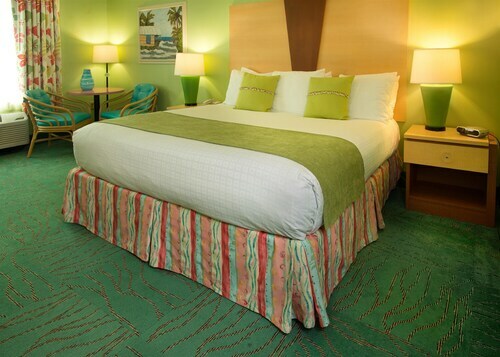 Nestled on the beach, this Fort Walton Beach hotel is 1.3 mi (2.1 km) from Emerald Coast Convention Center and 1.4 mi (2.2 km) from Gulfarium Marine Adventure Park. Okaloosa Island Pier and Wild Willy's Adventure Zone are also within 2 mi (3 km). 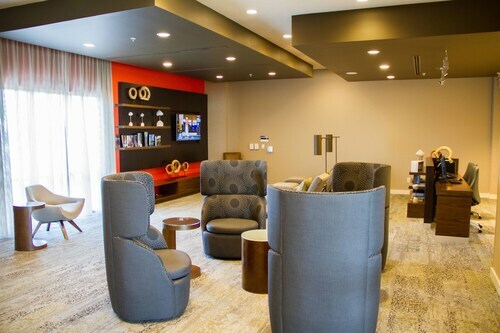 Nestled on the beach, this Fort Walton Beach hotel is within a 5-minute walk of Emerald Coast Convention Center and Gulfarium Marine Adventure Park. Okaloosa Island Pier and Wild Willy's Adventure Zone are also within 10 minutes. 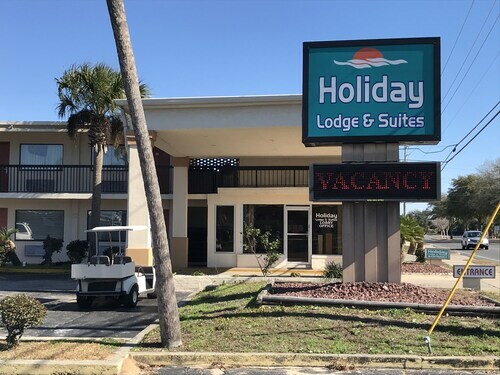 Situated near the bay, this motel is within 2 mi (3 km) of Indian Temple Mound Museum, Emerald Coast Convention Center, and Gulfarium Marine Adventure Park. Okaloosa Island Pier and Boardwalk on Okaloosa Island are also within 3 mi (5 km). 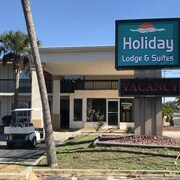 Located in the heart of Fort Walton Beach, this motel is 0.7 mi (1 km) from Liza Jackson Park and 2.2 mi (3.5 km) from Gulfarium Marine Adventure Park. Indian Temple Mound Museum and Camp Walton Schoolhouse Museum are also within 1 mi (2 km). 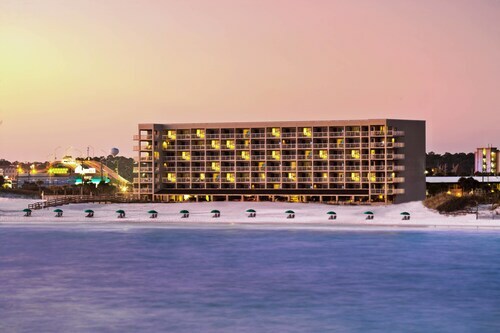 Situated on the Strip, this resort is 1.2 mi (1.9 km) from Gulfarium Marine Adventure Park and within 3 mi (5 km) of Okaloosa Island Pier and Fort Walton Beach Park. Air Force Armament Museum and Big Kahuna's Water and Adventure Park are also within 9 mi (15 km). 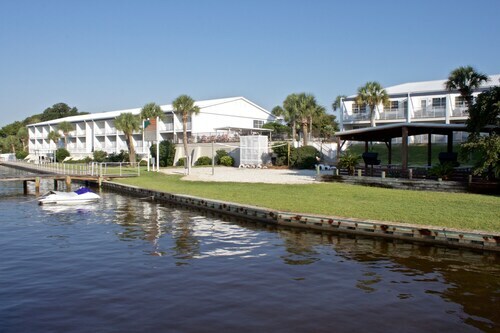 Situated near the bay, this hotel is 2.7 mi (4.4 km) from Shalimar Pointe Golf Club and 3 mi (4.9 km) from Fort Walton Beach Golf Club. Gulfarium Marine Adventure Park and Air Force Armament Museum are also within 6 mi (10 km). Are you looking for a spot where you can get away from it all and not have to empty out your retirement funds to get there? Secluded white sand beaches, warm sapphire waters, and expansive sunny skies are usually the hallmarks of an exotic tropical destination. You could go island hopping on a private yacht in hopes of finding an enchanted seaside paradise, or you could get away to Florida’s Emerald Coast and have it all…including a full bank account. 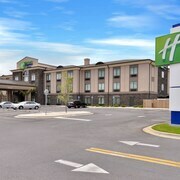 Travelocity helps you find cheap beachfront hotels in Fort Walton Beach, FL like the Fairfield Inn & Suites that put you within a few short steps of your own dune-side dreamland where you can while away the days in the revitalizing Florida sun. Situated on the south-facing shore of the Florida panhandle, Fort Walton Beach offers a front row seat for equally impressive sunrise and sunset views as the over the Gulf of Mexico. You might want to spend the entire day in your lounge chair…in fact, you probably should. What are the top attractions in Fort Walton Beach? Heritage Park & Cultural Center: Learn about prehistoric times and local history at this group of museums that includes the Indian Temple Mound Museum, Civil War Exhibit, Fort Walton Temple Mound, Camp Walton Schoolhouse Museum, and Garnier Post Office Museum. Air Force Armament Museum: Reignite your Top Gun daydreams with this collection of aviation warfare artifacts spanning from World War I to present day. Downtown Arts & Entertainment District: Unique shops, sidewalk bistros, chic boutiques, and antique galleries await you in this pedestrian-friendly neighborhood. What are the best seafood restaurants in Fort Walton Beach? Anglers Beachside Grill: With an expansive menu featuring fresh seafood and local favorites served up for breakfast, lunch, and dinner, anytime is a great time to visit. Old Bay Steamer: Enjoy crab, shrimp, lobsters, clams, mussels, and oysters—all steamed to mouthwatering perfection—at this funky seaside eatery. Make sure to save room for dessert! Stewby’s Seafood Shanty: When you are close to the Gulf of Mexico, a meal at a tiny, out-of-the-way shack is a must. In Fort Walton Beach that place is Stewby’s. Get the fresh Mutton Snapper. The Black Pearl: For upscale wood-fired seafood and steak with an amazing view, the Black Pearl is a dinning gem. 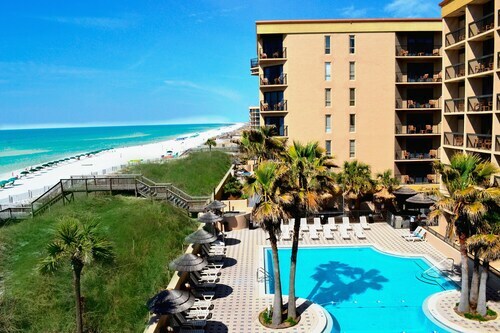 When you use Travelocity to book your stay at a Fort Walton Beach hotel on the beach like the El Matador, you’ll be reserving your own slice of the most amazing tropical beauty this side of the Caribbean that will make you yearn for more. And, with the money you save, you’ll be able to come back time and time again. 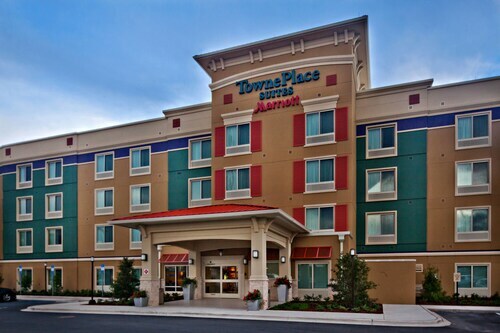 The staff was amazing,super friendly and helpful. 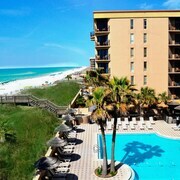 The hotel was wasnt bad. 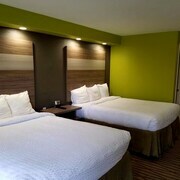 You get what you pay for as far as the rooms. 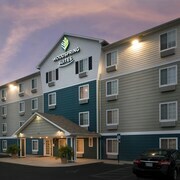 But the staff is really what made our stay good. 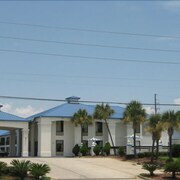 Its location to the beach was perfect.Rooms very clean and comfortable beds.Front desk lady was so sweet. It is an older property, and well maintained. The carpets were new and attractive. Bathrooms spotless and updated. Staff very friendly and accommodating. 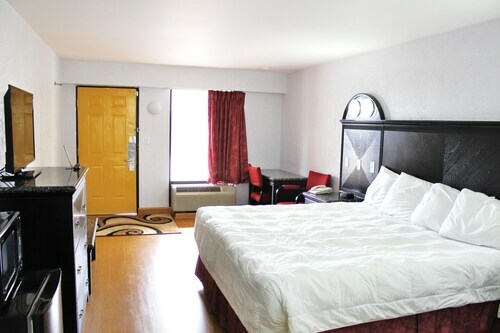 The common areas weren't clean; the room itself was tidy but the amenities of the room were in poor condition. The sheets were stained. And the smoke from other people’s room still filtered through my vent. Everything was great here. Free breakfast- 0k. The only thing needed would be a choice on meat items for us protein junkies such as sausage and/or bacon.